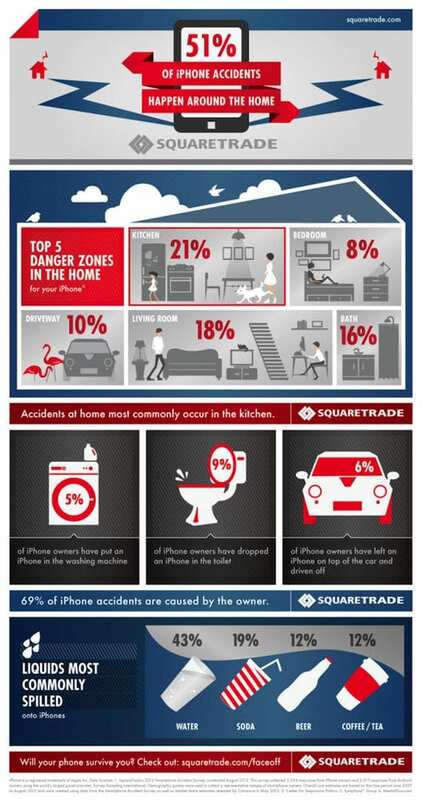 The five most dangerous for your iPhone at home have been studied by SquareTrade, a company that provides third-party guarantees for electronic devices, reveals that 51% of iPhone accidents usually happen around the house. The five areas of risk in the home are the kitchen, living room, bathroom, driveway, and the bedroom. The owner of the iPhone causes 69% of accidents, 9% of homeowners are dropped her iPhone in the toilet, 6% of the owners have left their iPhone on top of the car and thrown out and 5% accidentally left his iPhone in the washer with fatal consequences for the Apple device. 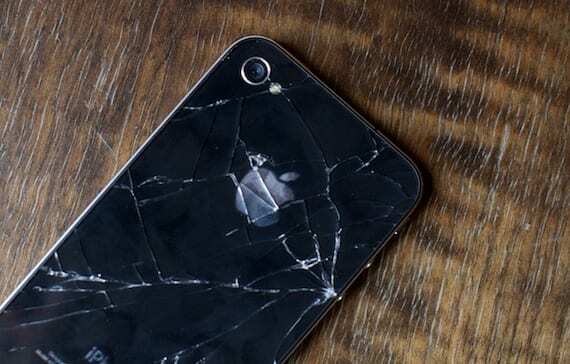 They have also made ​​a study of accidental contact with liquids iPhone. The most frequently spilled liquid on the iPhone is water, followed by soft drinks, beer, coffee and tea. A few days ago we told you about Liquipel transparent film iPhone becomes impermeable to prevent these accidents. And you, have you had an accident with your iPhone at the sites described in the study? Article The five most dangerous for your iPhone at home was originally published in News iPhone .